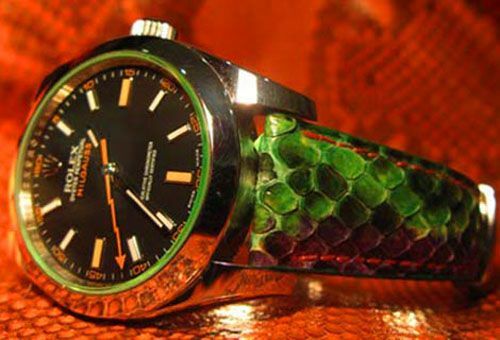 ABP Paris (Atelier du Bracelet Parisien) is a manufacturer of the world’s most exclusive leather watchstraps. Although you can order most straps via their web shop, the Fratellowatches team decided to visit their workshop in the center of Paris. ABP is currently lead by Yann Perrin and is a typical family business and have been around for 15 years. A few years ago, due to ever growing business, they had to move to a bigger workshop on the Place du Marché Saint-Honoré where they are still located as of today. Let us tell you, that with approximately a staff of 10 persons, we foresee another move in a couple of years. All straps that ABP sell are – of course – made by hand and specified to the customer’s demand. 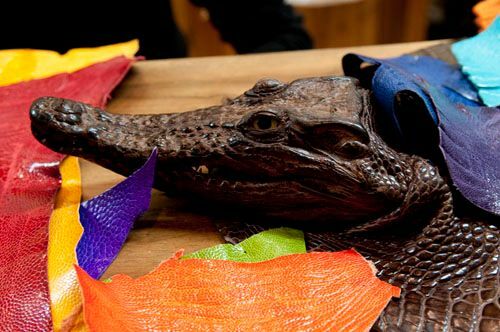 All sorts of leather are available, including some very exclusive ones like beaver tail, frog, toad and stingray. In the past, they were able to work with elephant and seal skin as well, but law forbids them to use it anymore. 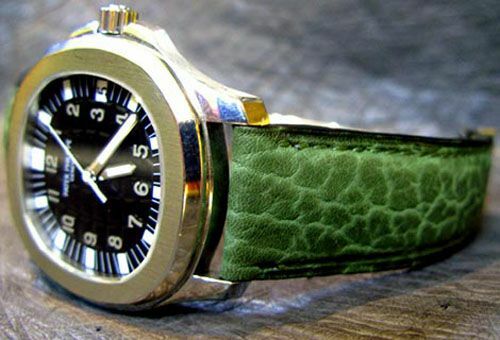 Alligator straps suddenly sounds very ‘normal’ once you step into the world of Yann Perrin and his co-workers. ABP used over 50 species of animal skin and they come from five difference tanneries from all over the world. 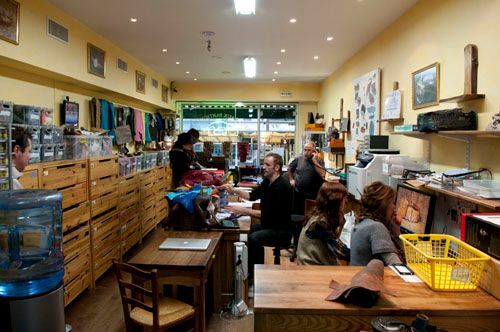 ABP is unable to perform their own tannery because of the very strict Parisien law which doesn’t allow them to work with chemicals in the center of Paris. They have hundreds of colors to choose from and the stitching can be done in over 500 colors. Also, if you bring your own favorite pair of shoes for example, you can have your watch strap made that it will perfectly match them. Even the patina Santoni shoes that are so popular these days. Of course, you need to visit the ABP workshop in order to have these custom paint jobs done. Because of the perfect location (near the Place Vendome) of ABP, they are able to supply to a lot of the high-end jewelers and watch boutiques located nearby. Sometimes a standard watch strap will not fit the wrist of the customer or isn’t up to his/her standards. 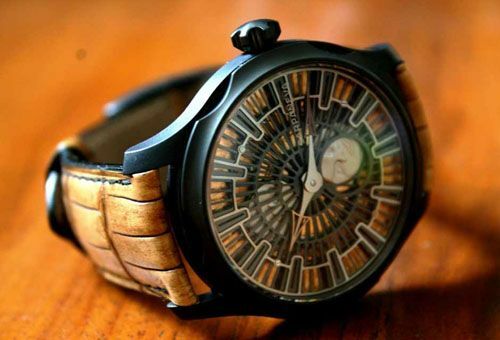 Then, these boutiques will ask ABP to design and create a strap that will fit the customer’s watch perfectly. Of course, this has to be done to the very exact specifications of the watch in question as it should at least be as good as the original watch strap. In case a standard strap is too short for someone’s wrist, ABP will create an exact duplicate of the original strap but longer. ABP also manufacturers straps for the smaller and independent watch brands when they only need a one-off or a just small batch of straps. However, you won’t see watches from the big brands delivered from the factory with an ABP strap. ABP wants to remain exclusive and be able to guarantee exclusivity. For a lot of watches that come with a stainless steel bracelet (e.g. Rolex) ABP has developed a method to fit the original lugs as good as possible so their won’t be too much space left between the strap and the case of the watch. Also, in 99% of the cases, ABP can make the strap fit the original deployant buckle. 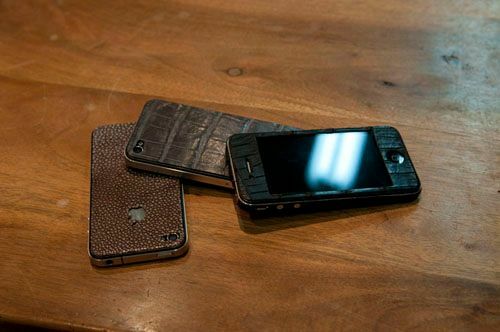 When we met Yann Perrin in his shop, he also showed us the prototype leather iPhone 4 covers they developed.You can choose from four types different iPhone cover types: interchangeable, fixed, bumpers or a full cover. Check them out at the ABP webshop.